Don’t Miss These Smoky Mountain Hiking Trails! One of the best ways to experience the Smoky Mountains is by taking a long hike through its immense forests. During the fall, the air is perfectly crisp, and the leaves glow with intense shades of orange and red. When you stay at our Gatlinburg cabins, you’ll be only miles away from some of the most memorable trails in East Tennessee. Schedule your reservation with us and discover why the Smoky Mountains are considered one of Tennessee’s gems. Known for its abundant and colorful azaleas, Gregory Bald is a beautiful trail for experienced hikers. About 11 miles round-trip, the trail winds up to reveal a ten-acre meadow lined with azaleas in multiple colors. 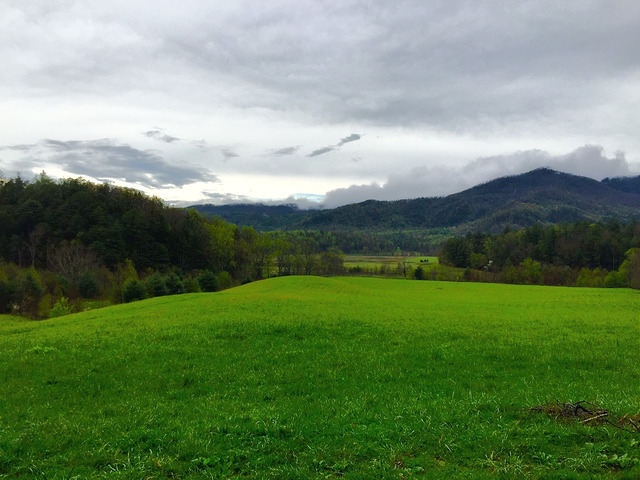 The 360-degree views offered at the peak of this hike are also spectacular, offering Cades Cove and Rich Mountain in the distance. This voluminous waterfall is worth the five-mile round-trip hike. Its rushing waters and beauty can be admired from a beach area at the end of the trail. Travelers, beware! Don’t let the beauty of this waterfall hike fool you. Slippery rocks and strong currents are serious conditions to be aware of on this trail. Exercise caution when you go—this is a waterfall you won’t want to miss. The magnificent view offered by Chimney Tops makes it a popular choice for hikers of all levels. Restored by a dedicated trail crew, this hike has stone steps and wooden bridges designed to make the trail easier and safe. You’ll find Chimney Tops just off of Newfound Gap Road. It offers a rock peak with an elevation of nearly 5,000 feet. Ready to book your next hiking adventure in East Tennessee? Check out our Gatlinburg cabins, the perfect retreat to relax in after touring the forestry. To book your reservation, give us a call at (855) 359-1507.